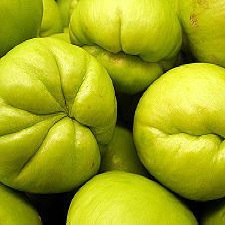 Chayote Squash: A tropical summer squash, chayote is a Latin American native that was grown by the Aztecs and Mayans. 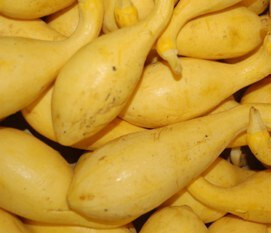 Crookneck Squash: A summer squash, crookneck Squash should be kept cold, about 41º F to 50º F with good humidity. 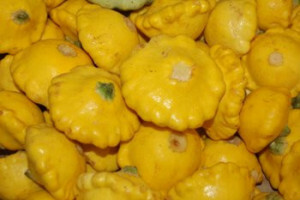 Yellow Patty Pan or Sunburst Squash: Also known as yellow summer squash, it is notable for its small size, round & shallow edges, somewhat resembling a small toy top. 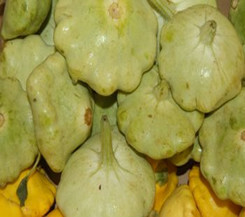 Green Patty Pan or Scallopini Squash: Patty Pan squash also comes in yellow, green, and white varieties. 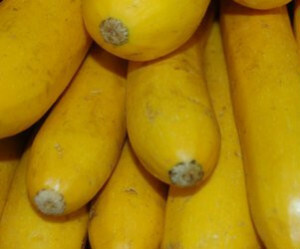 Yellow Zucchini: Also called yellow straight-neck squash, it can be served raw in vegetable platters, baked, fried, micro-waved or steamed. 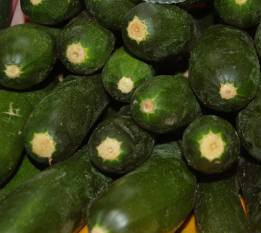 Green Zucchini: Serve raw with dips. Add shredded to green salads. Stir chunks into hearty soups and stews.